It is with great pleasure and pride that we introduce our latest property - The Mansion at Mountain Lakes. 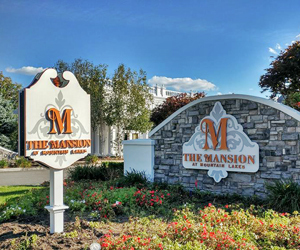 The Mansion is a premier wedding, special occasion and corporate event venue offering many first-class amenities including a grand ballroom, numerous private cocktail rooms, a bridal suite and lovely seasonal outdoor garden spaces for gatherings and ceremonies. We are working hard to bring this grand estate to a new luster with the addition of a many beautifully appointed amenities all designed to take the event experience to a new level. This coupled with our strong work ethic, delicious food, professional service and an unwavering commitment to our people, we are devoted to providing the best customer experience. We hope to impress you and all of your guest for many years to come.